Published: March 7, 2018 at 02:23 p.m. Updated: March 8, 2018 at 10:04 a.m. The Seattle Seahawks are preparing to look vastly different in 2018. Amid reports that cornerback Richard Sherman is on his way out the door, defensive lineman Michael Bennett is being traded to the Philadelphia Eagles, sources told NFL Network Insider Ian Rapoport. In exchange for Bennett and Seattle's seventh-round pick, Philadelphia will send a fifth-round selection and wideout Marcus Johnson. Bennett thanked the Seahawks, his teammates and fans in an Instagram post Wednesday afternoon. "You fans are world class," Bennett wrote. "The way you support us players on and off the field, helping to build bridges across our communities and understand what it means to give back and be community-minded. I am forever grateful for allowing me to grow and evolve in this time that I've had with you." If the landing spot is surprising, Seattle's decision to move the 32-year-old Bennett comes as no shock after weeks of speculation that he would be dangled to interested suitors. With three years left on his deal, Bennett's departure will save Seattle roughly $5.2 million in 2018. The Eagles, however, are roughly $10 million over the cap, meaning a handful of last year's Super Bowl winners will be forced off the roster. Vinny Curry and Torrey Smith could be goners, while veteran tight end Brent Celek looms as another potential non-returnee for the Eagles. Make no mistake about it, Bennett -- a three-time Pro Bowler entering his 10th season -- can still play. Spending much of his career as one of the league's most underrated game-changers, Bennett is one of just 12 players with five-plus sacks in each of the last six seasons and one of just eight defensive lineman to make each of the last three Pro Bowls. Only two players -- J.J. Watt and Carlos Dunlap -- have more quarterback hits than Bennett over the past five seasons. Bennett faithfully served as a raging centerpiece of Seattle's Super Bowl-winning squad under coach Pete Carroll. Carroll, though, has made it clear the Seahawks as we know them are changing before our eyes. 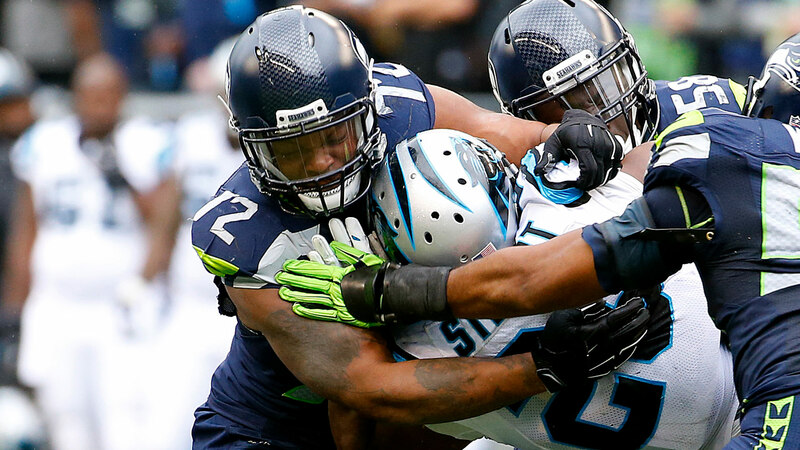 Along with Bennett, next year's defense could be without Sherman, Cliff Avril and Kam Chancellor. As for the Eagles, Wednesday's trade is another reminder that executive VP of football operations Howie Roseman will not rest on last year's success, adding Bennett to a ferocious front seven that includes Fletcher Cox, Brandon Graham and Derek Barnett. One of the most active wheelers-and-dealers league-wide, the Eagles have just begun fine-tuning for another deep playoff run. Check out some of Michael Bennett's stats over the past two seasons.